As with the Pallet Chair & Table and the XChair each of our new pieces are handmade using reclaimed timber from damaged and un-wanted pallets. 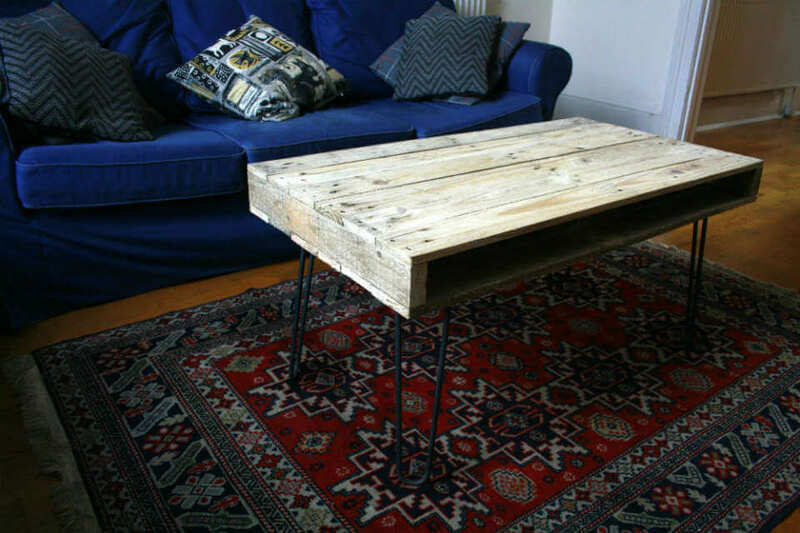 We are passionate about the use of reclaimed timber and we never use ones that are new or that are to be re-used. After the release of our new designs the fantastic Bridgette Meinhold from Inhabitat.com wrote a great blog about our new furniture. 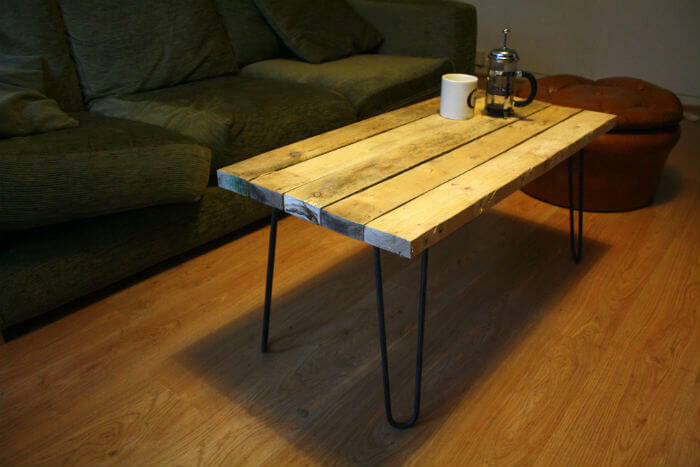 Our rustic style Pallet Coffee Tables are made with 10mm, black steel hairpin legs. The timber tops are sanded smooth enough to touch but left slightly rough and rustic. They can be made in any width and length up to 1.2m and with various heights of legs…12″, 15″, 18″ and 28″ high. 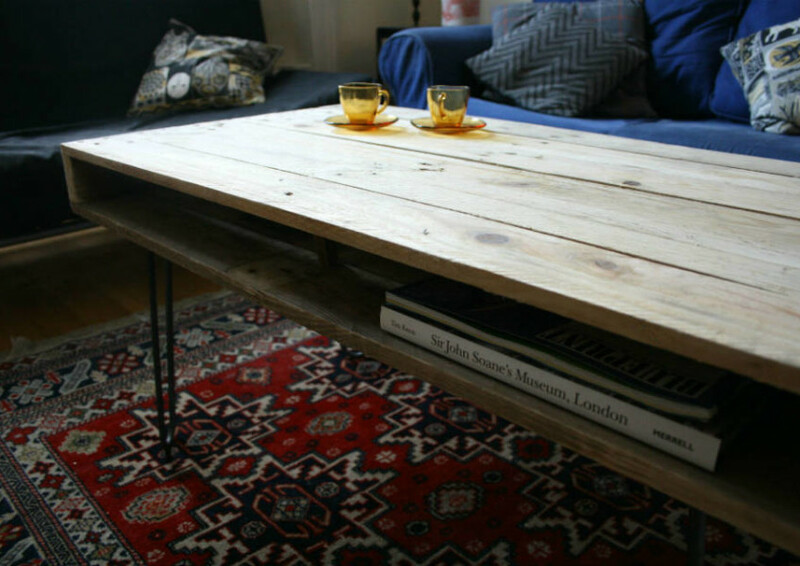 The table in the photo above is 15″ high and the top is 50cm x 95cm. It has a space for storing books, magazines, laptops etc. For any bespoke requirements please get in touch. 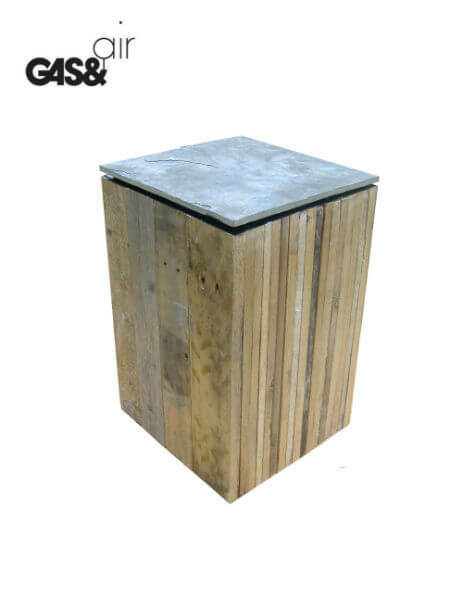 Our new pallet furniture also includes this (above) Pallet Timber Stool topped with a Reclaimed Slate Tile. Each stool is made using the reclaimed timber left over from the production of our other pallet furniture. Each piece of wood is different, giving the stool is distinct look and character. 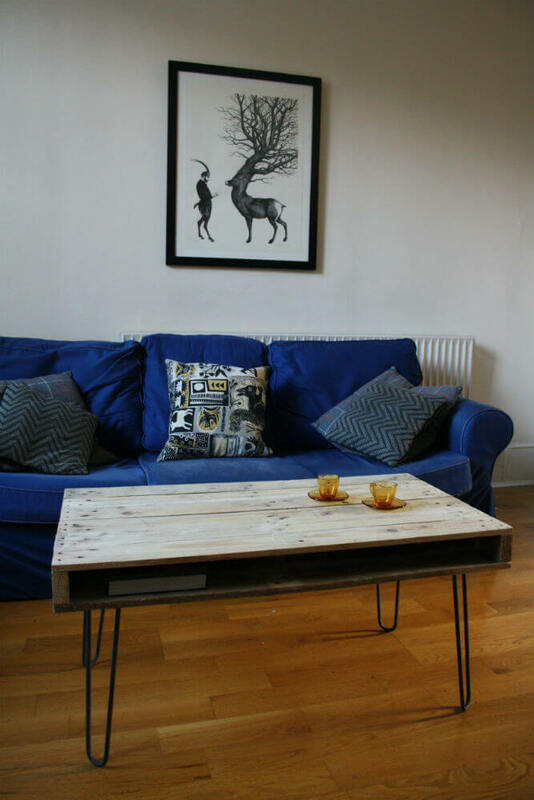 As with our other pallet furniture each stool is handmade by a member of our team in London. The dimensions of the stool above are Width: 30cm, Depth: 30cm and Height: 40cm. We can make the stool in various heights up to 60cm and in various widths and depths.